September 19, 2018 - If you thought the surging price of fossil-fuel emissions in Europe would hurt coal demand, think again. 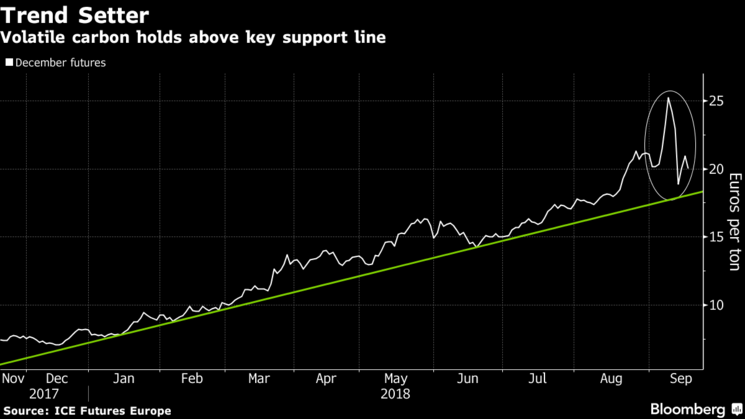 Front-year coal for delivery in Europe has been poised to push past $100 a ton for the first time in half a decade, lifting the cost of electricity across the continent. It’s already exceeded that level for nearer-term contracts. 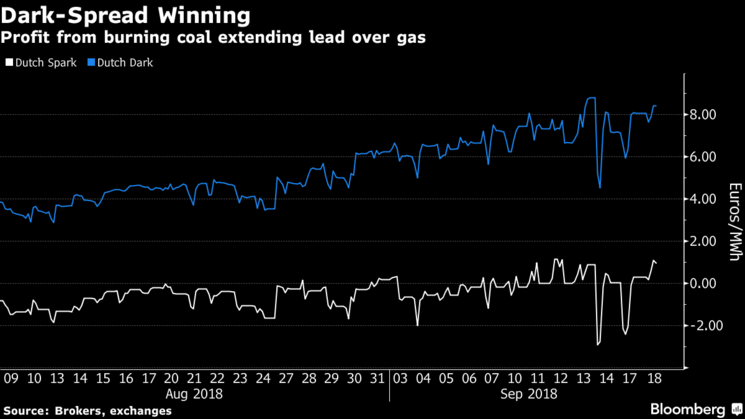 Gas-fired generators, Chinese importers of liquefied natural gas and storage sites in mainland Europe are all competing for the same shipments, stoking the cleaner fuel’s rally. There simply hasn’t been much spare gas supply to allow switching from coal because of carbon’s surge. For most of the world’s greenhouse gas output, there’s no price, which gives coal a big advantage. Chinese coal imports hit 29 million tons in July, the highest level since 2014, while the country’s electricity production hit a record 640.02 billion kilowatt-hours. Finally getting rid of coal will probably require more than a carbon price. It’ll certainly include attention to the resulting joblessness of workers in the industry, said Oliver Sartor, a research fellow at French thinktank the Institute for Sustainable Development and International Relations. Nations including Canada, the U.K. and South Africa are already embarking on a determined shift away from the dirtiest fuel.